Zillow Group has been selected for inclusion to Bloomberg’s inaugural Gender-Equality Index. As one of only seven tech companies on the index, we are proud of our policies and practices that have helped us create an environment of inclusiveness. The Bloomberg Gender-Equality Index (GEI) measures gender equality. The index considers internal company statistics, employee policies, external community support and engagement, and gender-conscious product offerings. 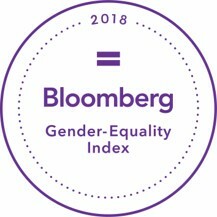 Bloomberg designed the Bloomberg GEI to reward firms for disclosure as well as to showcase firms that have made strong commitments to gender equality. Investors and companies increasingly rely on environmental, social, governance and other information to evaluate reputation, value and performance. The Bloomberg GEI arms managers and investors alike with more comparative information across the gender-equality space. The index encourages disclosure and provides greater market transparency, as well as raises awareness of gender-related issues.